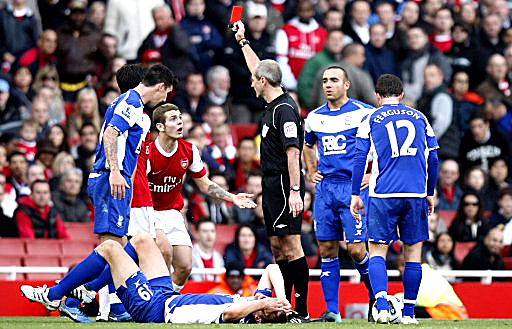 Jack Wilshere was rightly sent off for this challenge which fortunately did not lead to a serious injury to Birmingham's Nikola Zigic. "He didn't want to harm the player - he mistimed his tackle." Wilshere is now suspended for three games.